The Aida Side Table exudes elegance with all its simplistic, yet chic design made using high-quality materials from top to bottom. 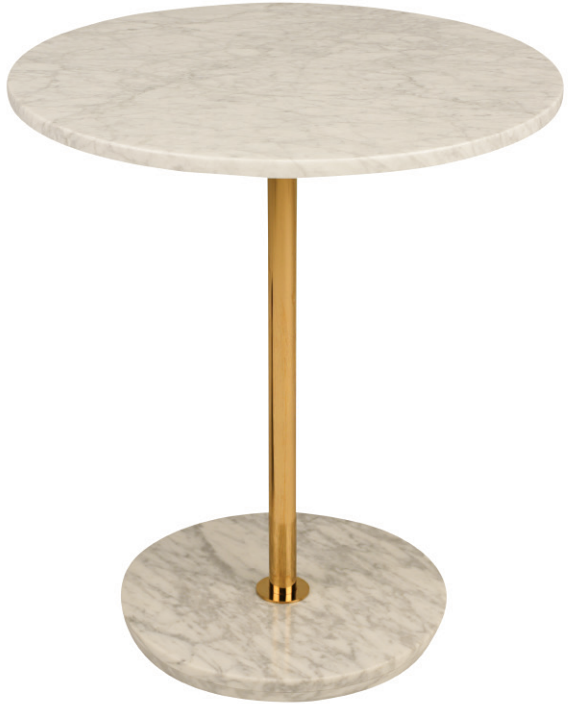 Aida’s well-crafted design begins with the white and grey vein round marble base and tabletop. Attaching both pieces is a solid metal polished gold rod, which gives the table its final touch of luxury.